Number lines don’t have to be boring. They’re a very useful tool for learning simple math facts. In fact, if you’ve got a child in the early elementary years, they’ve probably worked with them in school. You can help reinforce their learning at home with some fun math games. 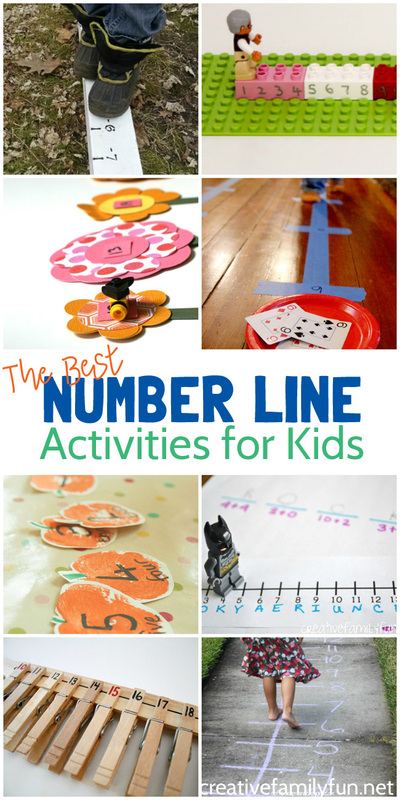 These number line activities are definitely not boring! 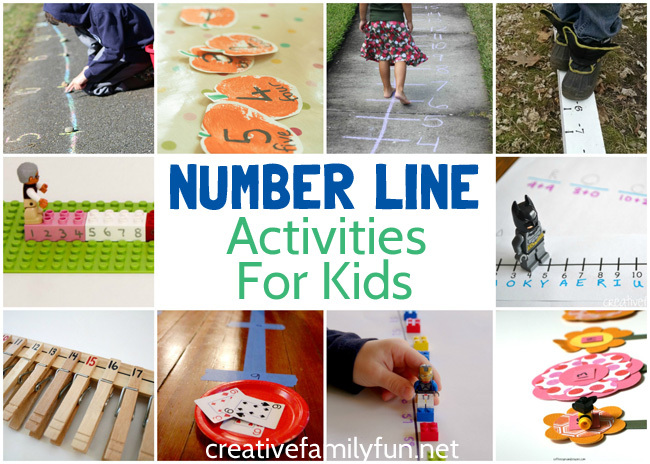 Let your kids move, play, and have fun while working with a number line. If your kids are just learning about the number line, play this Numbers Washing Line game from Lessons Learnt Journal. It will help them learn number recognition and work on putting the numbers in the right order. Take it outside and go on a Number Line Run from Coffee Cups and Crayons! It’s a great way to get your preschooler moving and practicing their numbers. You can also let your preschooler play a fun movement game inside with Walk the Number Line at PBS Parents Adventures in Learning. Suzy Homeschooler turned the number line into an awesome balance beam. Such a great way to work on gross motor skills and math at the same time. 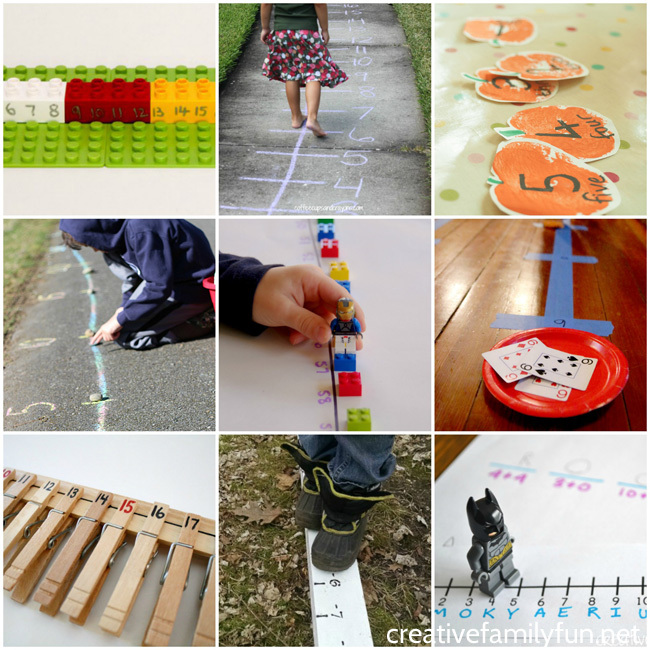 Hop your way along a number line with this fun gross motor math game. You can find this fun Bunny Hop Number Line Game at Teach Beside Me here. Make a simple DIY Clothespin Number Line from Fantastic Fun and Learning for hands-on learning. You can play all sorts of games and sneak in some fine-motor practice. Use a long outdoor number line to help your child practice their addition and subtraction. Go to No Time For Flashcards for this Outdoor Number Line Activity. Help your kids learn to add and subtract with the number line. Play Number Line Addition and Subtraction with Mama Jenn. She’s even got downloadable game boards for you to use. Boy Mama Teacher Mama also has a great printable game for learning how to add and subtract with number line. You can find Number Line Hop here. Do you want to get a reluctant kid excited about math? Add LEGOs to the mix! Creekside Learning shares several fun ways to combine the two. You can also use your Duplos to make a fun number line. In the Playroom shows you how to make and play with this fun Duplo number line. Have a fun math competition with a partner. Play Strike It Out! with Teach Mama. It’s a fun and challenging game for your kids who have mastered addition, subtraction, and using a number line. Combine art and math to create a fun number line using a stamping technique. Rainy Day Mum shows you how to make this pretty Pumpkin Stamped Number Line. Make a number line out of flowers to practice counting forward and backward. Coffee Cups and Crayons shows you how to create your own Flower Number Line game. Make secret codes! Use the number line to create secret codes to help your kids work on addition and subtraction. They’ll have so much fun with Number Line Secret Codes. 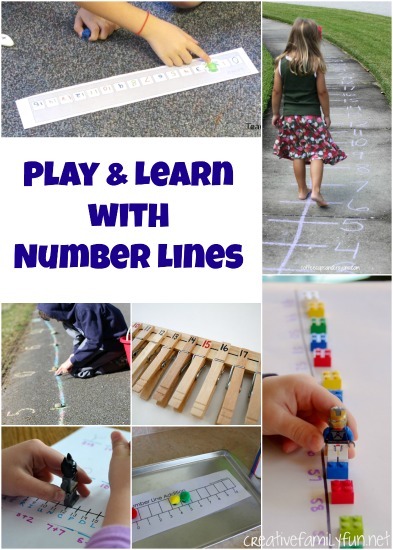 Do you have any fun ideas for number line activities? 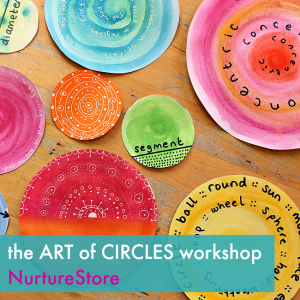 If you would like to explore the combination of math and art in more detail, you can join Nurture Store’s The Art of Circles Math online workshop, suitable for ages 5 to 10. This start-any-time workshop is full of fun activities that will fully immerse yourself in the math and art of circles. You’ll get an introduction to STEAM, the math concepts of circles, famous artwork featuring circles, three full art projects to do, a guide to making your own circle book, and more fun. It’s a lot of fun and learning for only $10.00. You can find all the details and purchase information at this link. You should go check it out!